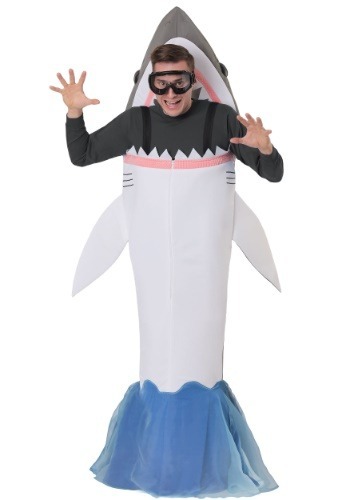 Swimmers beware! 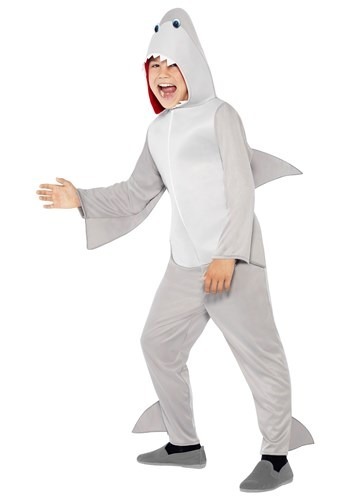 There is a shark on the loose, and he needs to be captured! 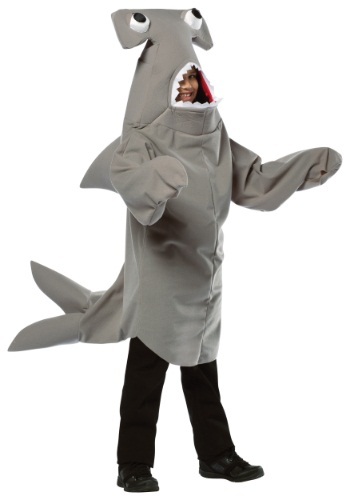 Large, sharp teeth open and smile as you whiz past the waders, the swimmers and those watching the waters. 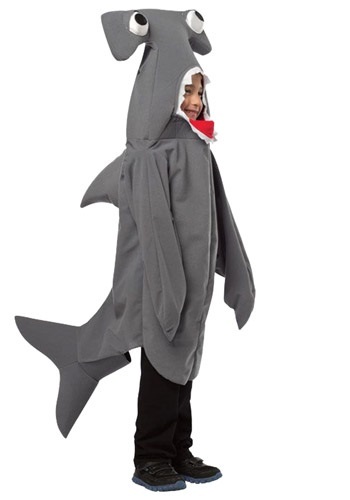 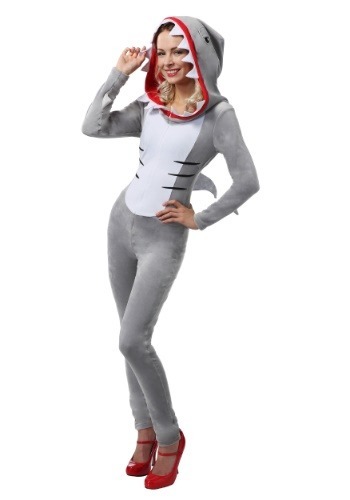 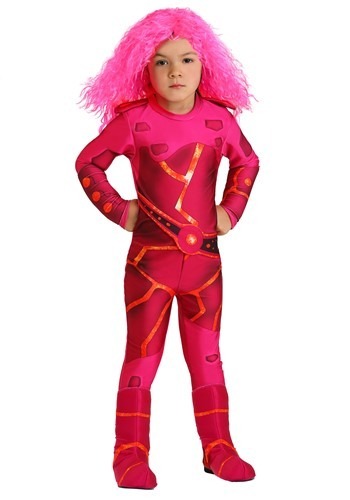 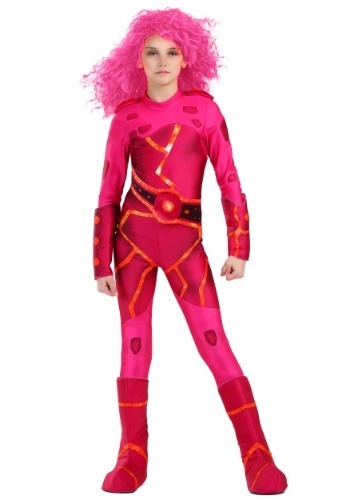 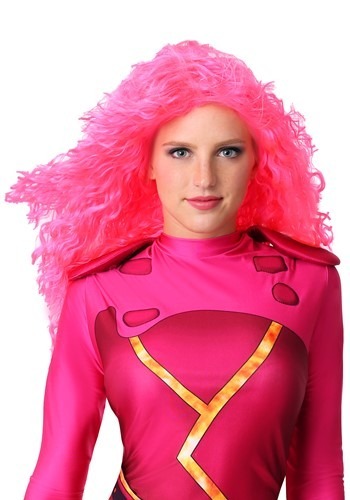 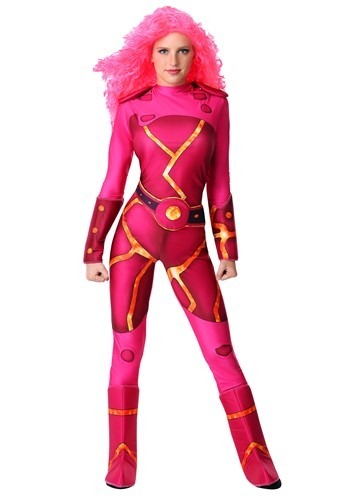 Be the shark out of water using the right costume that puts the visual effects to shame. 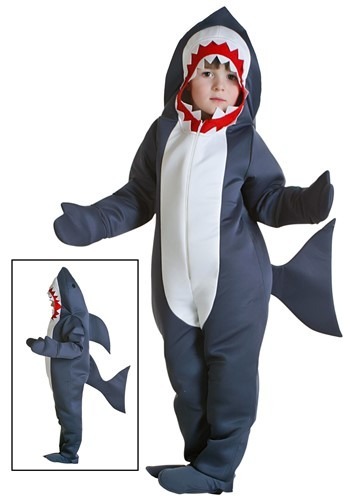 Made for kids, adults and even your pets, sharks can be everywhere! 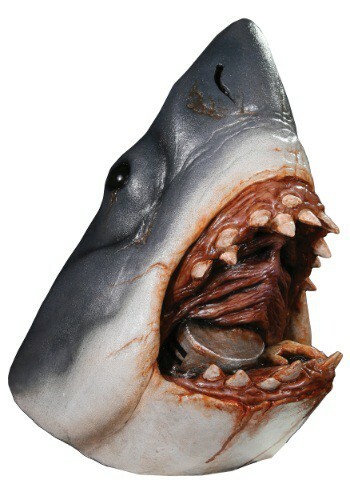 Man eating, or docile; you choose the fate of your shark. 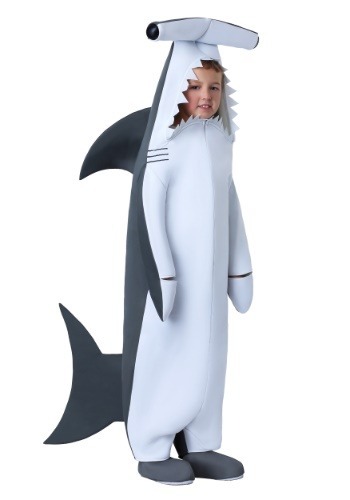 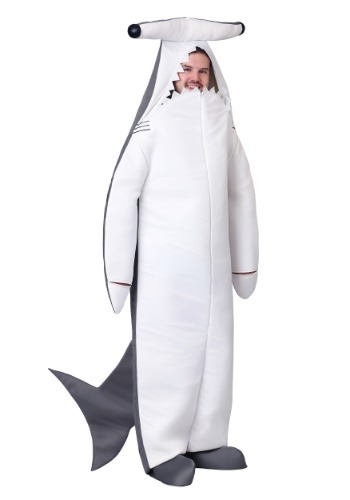 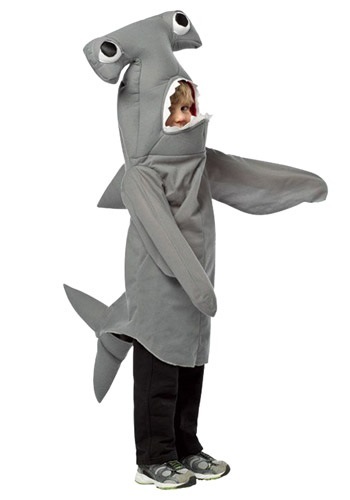 Costumes that look like they have already eaten someone, with legs sticking out of the mouth, or be the eaten when you choose a pull up shark costume. 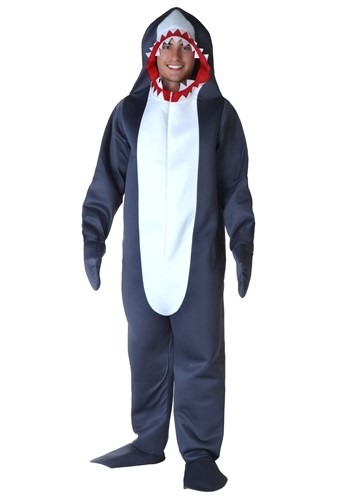 Sharks are scary, but they can be fun, too as Left Shark! 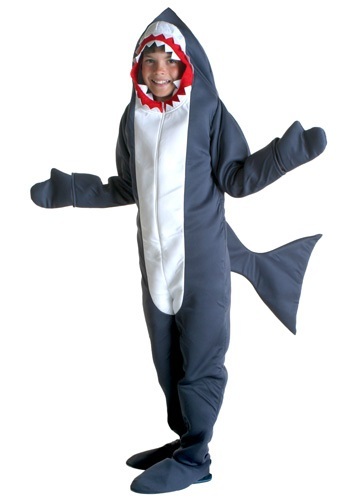 Take part in all of the action when you choose a shark costume that impresses the masses. 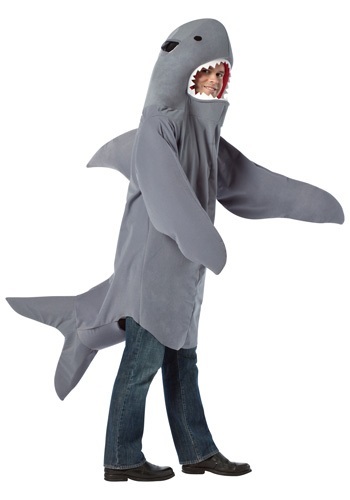 Get out in the open waters and see what kind of stir you can mix up when you slide past everyone!